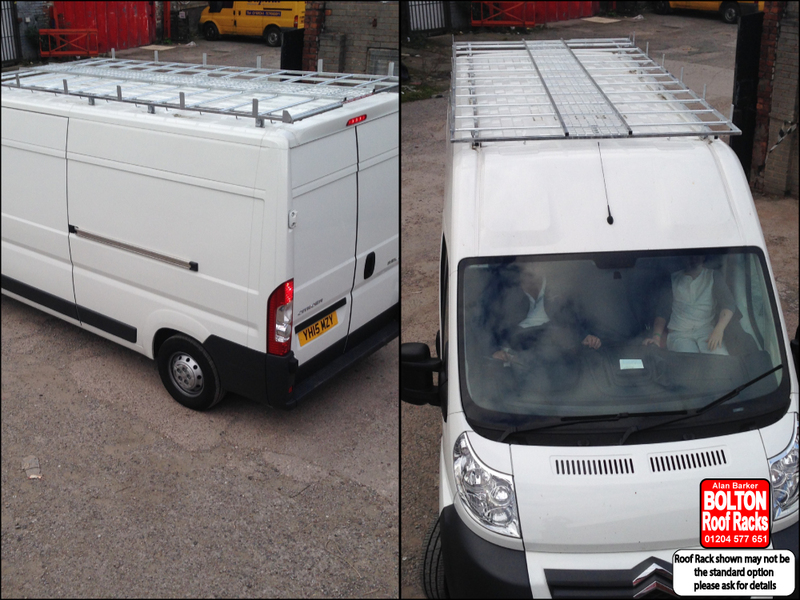 Citroen Relay L3H2 Roof Racks from Bolton Roof Racks Ltd. Roof Racks for Citroen Relay Models we hold in Stock. Citroën Relay is distinguished by a pure and optimistic design creating functionality, safety and savings. The front of Relay, with front grille reinforcement, inspires confidence and strength. A business partner, but also the flagship of your company, Citroën Relay will win you over. Relay is a robust and reliable vehicle with a range of different silhouettes: • 4 lengths (L1, L2, L3, L4) • 3 wheel-bases (3 m, 3.45 m, 4.04 m) • 3 different heights (H1, H2, H3). Get the best out of your Citroen Relay by adding a Roof Rack.